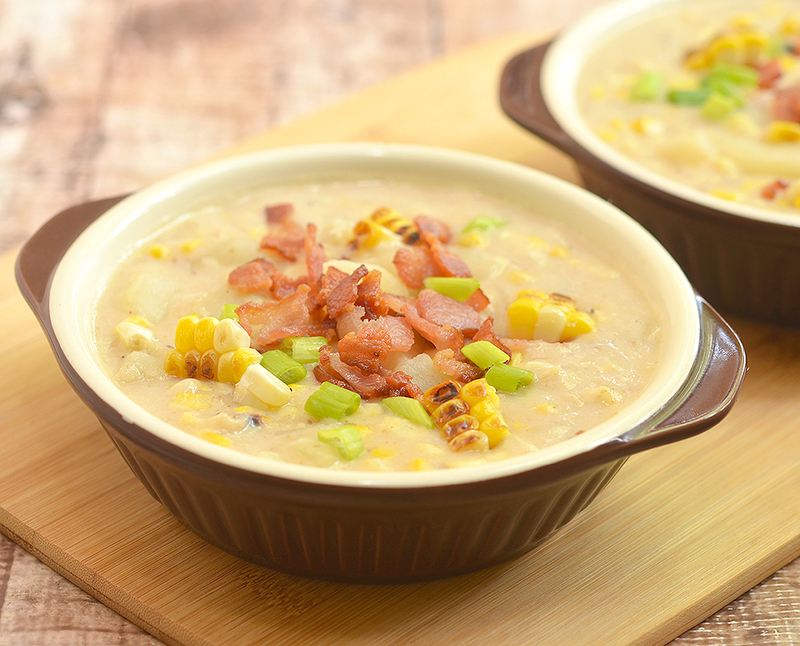 Grilled Corn Potato Chowder with grilled corn, potato, and crisp bacon bits. 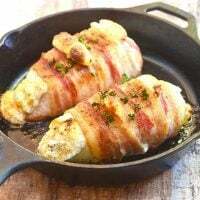 Rich, creamy, and hearty, it’s the epitome of comfort food! We’re starting to see cooler weather here in our neck of the woods and I am so excited to finally be able to jump on the Fall soup trail. A piping hot bowl of soup is my perfect idea of heaven on earth and I love it so much I could, in fact, live on it and crusty bread alone. I have a long list of favorite soups on our dinner rotation but this grilled corn potato chowder is definitely one G and I indulge often. Rich, creamy and just plain good, it’s bound to be everyone’s favorite, too! 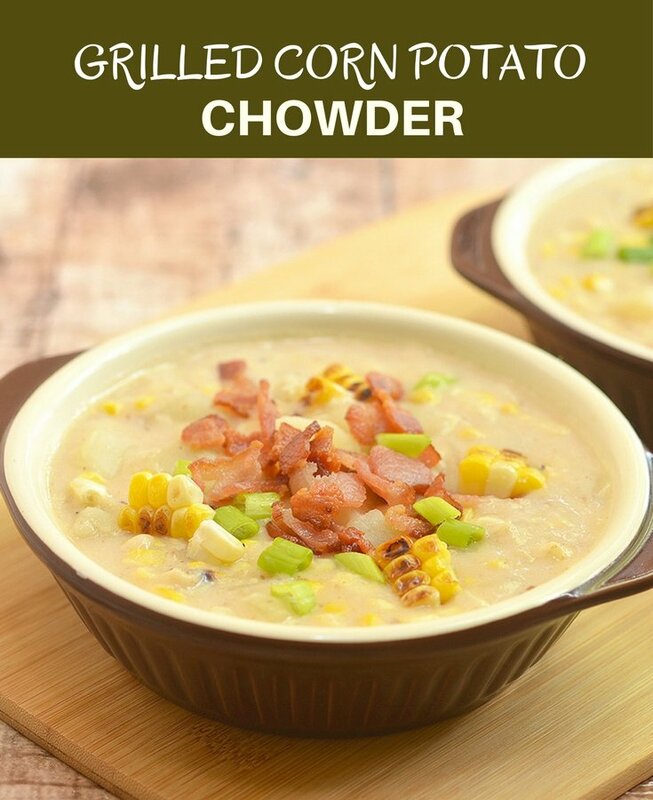 Chock full of sweet corn kernels, tender potato chunks, and crisp bacon bits, this chowder has the makings of a truly amazing soup. The grilled corn adds a delicious hint of smoky flavor while a generous pinch of cayenne pepper kicks it up with a touch of spice. You can skip grilling the fresh corn if you’re really pressed for time but I highly recommend the extra effort. It’s such a simple step and takes but a few minutes on a grill pan (or any heavy duty pan you have) yet it totally takes this soup from delicious to outright amazing. This grilled corn potato chowder is a quick and delicious comfort food that’s perfect for chilly Fall afternoons. Serve it with crusty bread and a crisp salad on the side and you have a hearty lunch meal the whole family is sure to love. Enjoy! 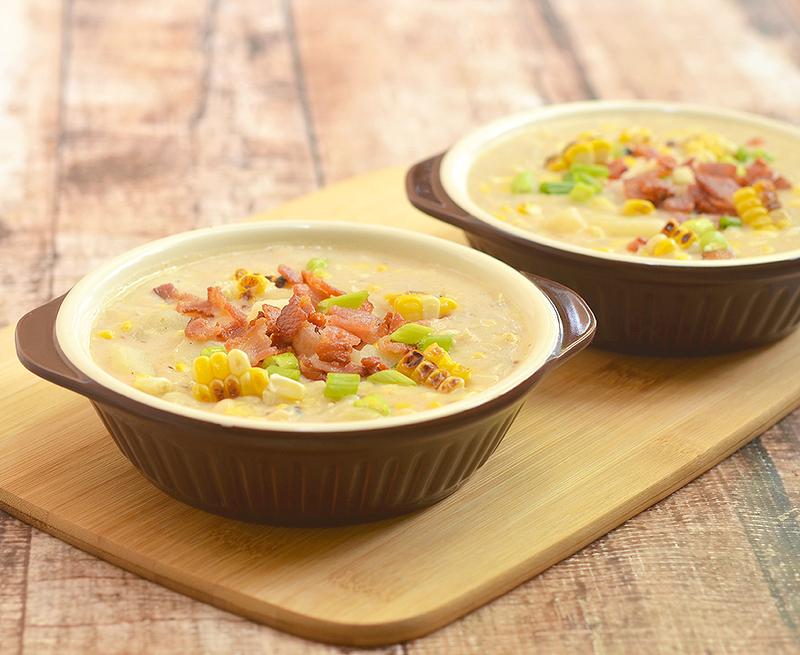 Grilled Corn Potato Chowder with grilled corn, potato, and crisp bacon bits. Rich, creamy, and hearty, it's the perfect comfort food! Lightly brush corn ears with olive oil. 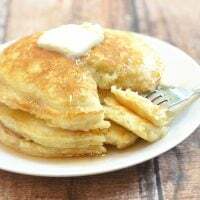 Over medium-high heat, heat a grill or cast iron skillet until very hot. Place the corn in the pan and using tongs, cook for about 6 to 8 minutes, turning on sides as needed, or until corn is nicely charred. On a cutting board, place an ear of grilled corn flat on and cut down one side of the cob to remove the kernels. Turn the cob so the cut side is on the bottom and continue cutting and turning until all the kernels are removed. Repeat with the remaining corn ears. Discard the cobs and set aside corn kernels. In a large, heavy-bottomed pot over medium heat, add bacon. Cook, stirring occasionally until it renders fat and crisps. With a slotted spoon, remove from pan and drain on paper towels. Discard fat except for about 1 tablespoon. Add onions and cook, stirring regularly, for about 2 to 3 minutes or until softened. Add garlic and cook, stirring regularly, for about 1 minute. Add chicken broth and bay leaf. Bring to a boil. Add potatoes and cook for about 5 to 7 minutes or until halfway tender. Add grilled corn, reserving about 1/4 cup for garnish if desired. Lower heat and add 1 cup of the milk. Add cayenne pepper and season with salt and pepper to taste. Simmer for about 2 to 3 minutes. In a bowl, combine the remaining 1/2 cup milk and flour. Stir until smooth. Gently add mixture to pot, whisking vigorously to prevent lumps. Continue to cook for about 7 to 10 minutes or until liquid is thickened and potatoes are tender. Add bacon, reserving about 2 tablespoons, and stir. 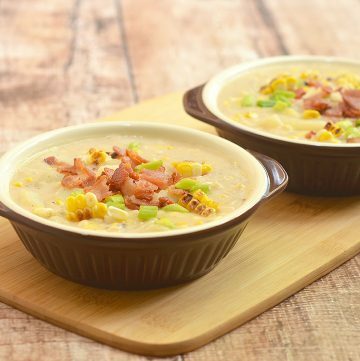 To serve, ladle into serving bowls, garnish with reserved grilled corn, bacon and green onions. Serve hot. You always make recipes and treats that are suitable for my tastes. I just want to go home and have a chowder fest! My goodness, this looks absolutely delicious. I have never tried one such recipe before. The combination of Potato with chicken broth and other ingredients makes it a wonderful recipe to try out! I love potato soups, so I would probably like this. 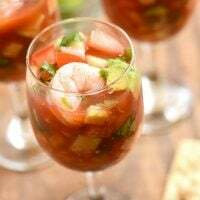 With cold weather right around the corner, this would be a great recipe to warm up with. That’s a good looking chowder. I’d love to give it a go! Oh my goodness! I’ve never tried this one! I’m sure I would love it because of the potato. This is really tempting. 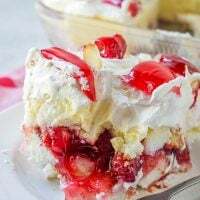 My kids always love trying new recipes, if they would see this, I’m sure they will ask me to make this one. Corn chowder is one of my all time favorite soups. It’s so hearty and just warms the soul. Can’t wait to try this recipe out. I love a good chowder and this recipe looks and sounds amazing!!! Great job!! This sounds like such a great comfort dish. I’d love to make some in the winter. It looks so good! That looks like my kind of soup! I like the idea of having both corn and potato in one soup, although since I don’t eat meat, I would probably replace the bacon with something else. It’s the perfect recipe for winter. I love a warm chowder this time of year! Yummy! Sounds wonderful but it’s shame I can’t find corn easily these days. Oh my goodness! That is really looks so tasty! This would be perfect for cold nights.